Lactoferrin antibody LS-C699226 is a Cy3-conjugated rabbit polyclonal antibody to human Lactoferrin (LF / LTF). Validated for WB. Cy3. Also available Unconjugated or conjugated with Biotin, Biotin, FITC, FITC, Cy3, HRP, HRP, PE, PE, APC, Cy7, APC, Cy7, APC, APC. 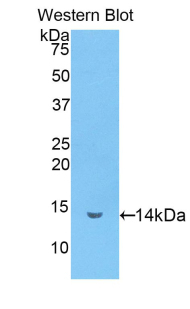 Western blot of LF / LTF / Lactoferrin antibody.